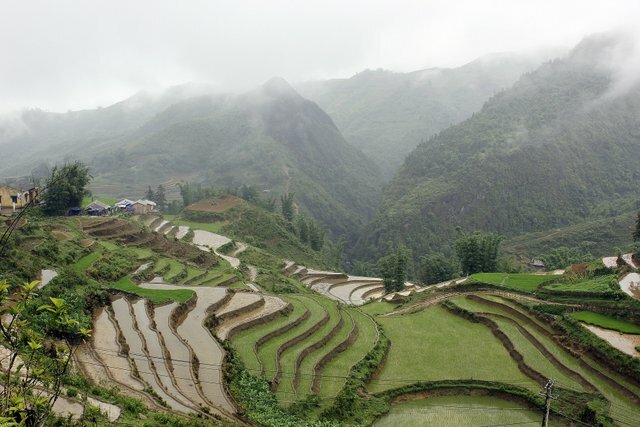 For traveller Simon Wong, the northern Vietnamese hamlet of Sa Pa represents the last frontier. Nestled in a mist-covered valley, among rice paddies carved out of northern Vietnamese foothills, lies a town surely on the verge of becoming the next “it” spot for tourists. 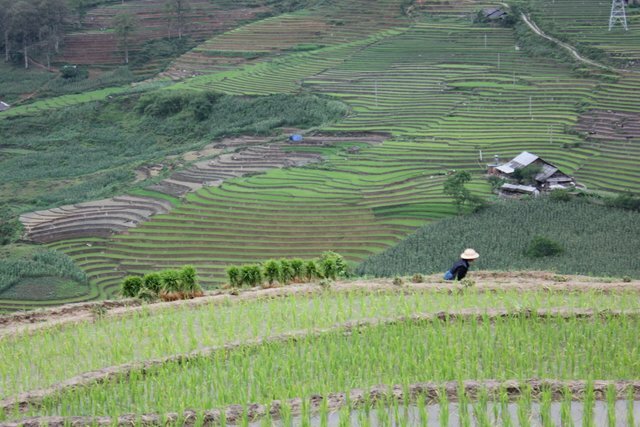 The allure of Sa Pa, about 10 hours northwest of Hanoi and just shy of the Chinese border, is the escape from the constant noise and activity of the cities and a glimpse into rural life. Travellers pay to go trekking through the mountainside, rice paddies and bamboo forests, spending a night in a village homestay – a chance to peer into a different kind of life. This is the real Vietnam. 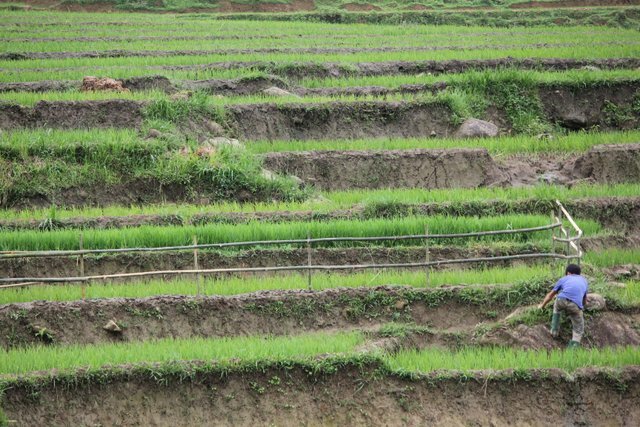 The journey to Sa Pa starts with a nine-hour overnight sleeper train to Lao Cai and a one-hour minibus ride to the town itself. Our guide Vu, a tiny 19-year-old girl in the traditional dark blue dress of her tribe, meets us at our hotel and escorts us through the bamboo-, corn- and rice-covered valley and four villages during our three day stay. The guides who shepherd tourists from Sa Pa to the villages are of the Black Hmong tribe, an ethnic minority in Vietnam, who share the valley with several other minority groups. Walking along the winding road out of Sa Pa, locals on motorbikes and minibuses with new groups of tourists pass by before we head down a mud path into the Muong Hoa valley. Rain from the previous night has made most of the path a slippery mess. 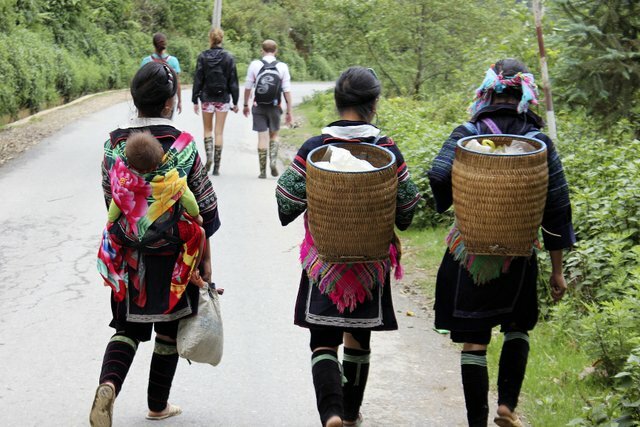 A group of Black Hmong women accompany us during the trek, helping some of the group in the hairier spots where mud gets shin deep and the path seems impassable. The women are small – about 150 centimetres tall – but strong and agile. They bounce around the muddy paths, sure-footed in plastic sandals with little grip. Some also carry babies on their backs while others sport woven baskets. Vu assures me that they too sometimes slip when it’s been raining, but more likely she’s trying to make me feel better about my limited abilities. We rest under a small shelter atop a hill. The dark grey blanket covering the valley brings the mystique of clouds lingering below the peaks, but luckily the rain holds off. Looking down over the valley, the rice paddies cut into the mountains like steps to the summit. A marvel of human engineering. Vu, who speaks fluent English, became a guide about a year ago and learned English by talking with travellers. She wasn’t taught English at school, though the younger generation are. Each village has its own dialect, she says. Her village, Ta Van, has about 2,000 people while another we pass through has 400. The tribes can’t understand each other’s language. 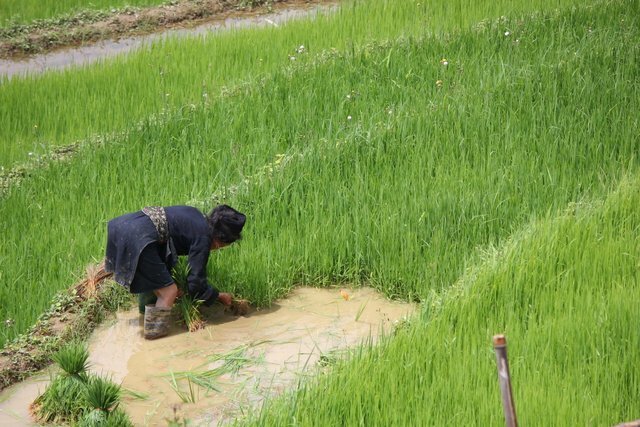 The town of Sa Pa, in the Lao Cai province, has become more popular with intrepid tourists over the past few years, she says. It shows. 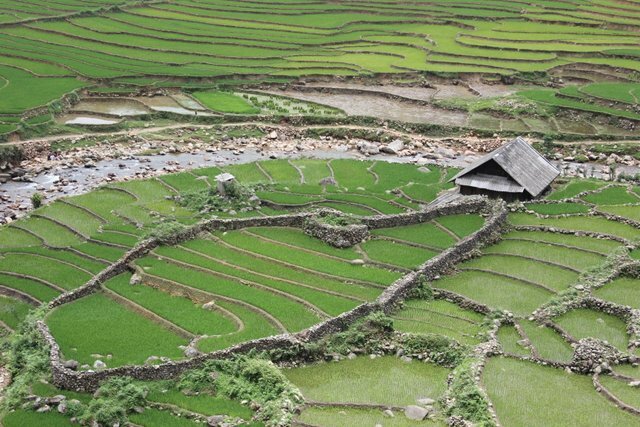 Sapa is booming with construction projects– new hotels, bars, businesses. In 10 years this place will be unrecognisable. 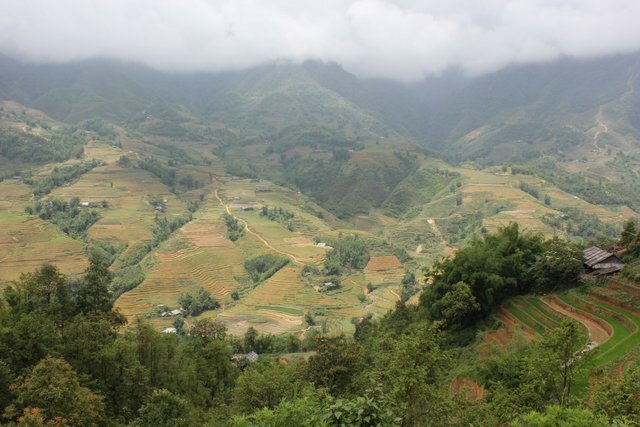 The danger here is that Sa Pa moves from hidden gem to overblown tourist trap. 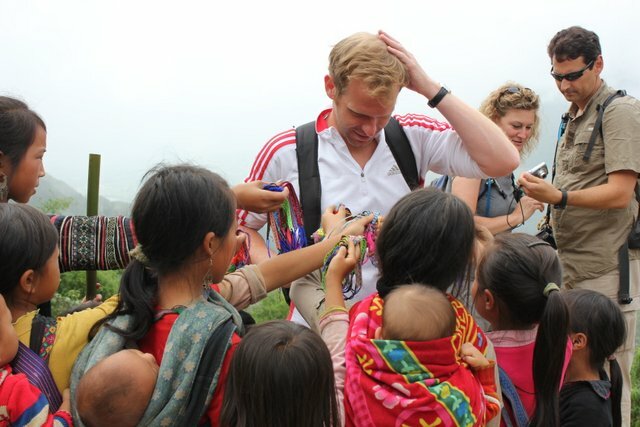 We’re in Sa Pa during the rainy season (May to September) and tourist numbers seemed just about perfect. New groups arrive at our hotel every day and town still has a buzz with travellers stocking up for treks and getting well-deserved massages. A friend who was in Sa Pa last November (during the high season) noticed similar numbers. Fewer people means trekking groups are small and intimate – our group had seven people and the maximum one guide takes is 10 (that is our hotel’s policy, at least). Larger groups would make the tour seem just like a conveyor belt of Westerners and what would be lost is a sense of exclusivity and expedition. We ask Vu about her life and find out she’s married and seven months pregnant with her first child. Most girls get married around 16, she tells us. She also has a gold covering over one of her teeth, which apparently is all the rage in Sa Pa.
Meandering through the villages, Cat Cat, Lao Chai, Ta Van, you get a sense that you’re walking through the lives of the villagers. A young boy with a stick guides a water buffalo along the street, allowing it to stop to chew the grass; men, women and children toil in the bright green fields; a simple and satisfying meal made by a family. Everyone seems to win in this situation. The Black Hmong make a living through their guiding work, selling handmade bracelets, bags and wall hangings. Travellers see a life relatively unchanged by technology. 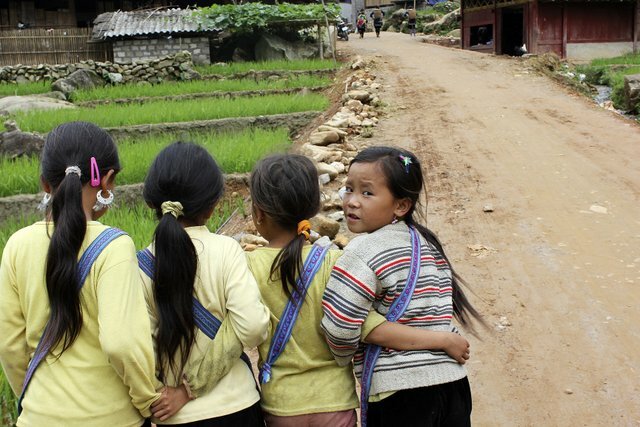 Sa Pa becomes a prosperous little town making a name for itself in the travelling world. Now that the word is out, the challenge for Sa Pa will be to remain true to what it is – the most authentic experience in Vietnam. Simon Wong is a New Zealand journalist travelling through Southeast Asia for seven months. He has been documenting his trip on his blog.